It’s been a long couple of weeks around these parts. There has been so much going on and so many changes that it feels like a bit of a whirlwind right now. I love watching how things always work themselves out even when we can’t see the end from the beginning. When things would start flying at a million miles an hour back home, I would call my best friend up and we would sneak away for a few hours at our favorite tea shop. A big steaming tea pot of chai, a scone and some girl time is guaranteed to make everything feel manageable and exciting again. Some days you need good fussy food that takes all day to prepare. And some days just needs something so simple and comforting that you sink into your chair and feel surrounded with the smell of spices, the soothe of warm milk and the laughter of a good friend. Today is definitely that kind of day. 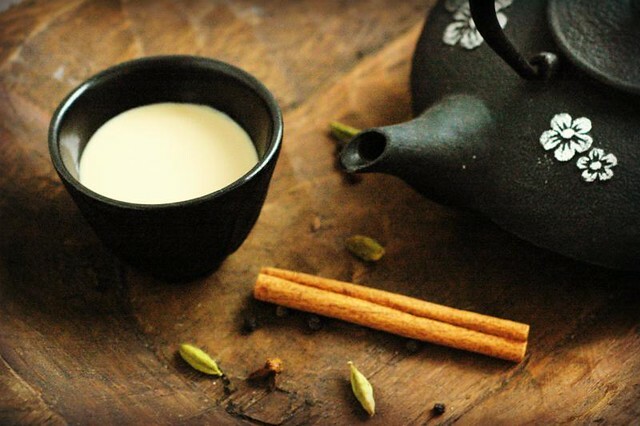 A lovely spiced black tea with milk, perfect for a cool morning. Also excellent over ice. Bring water with spices and sugar to a boil, whisk to incorporate spices and simmer for 5-10 minutes. Add tea bags and remove from heat. Strain. Add half and half or alternative dairy and warm. If desired froth milk and top cups with frothed milk and a dusting of cinnamon. *I believe a real vanilla bean or some vanilla extract would add quite a bit of flavor to this but I didn't have any to test. If using vanilla extract add it after the boil so you don't loose it from evaporation. Try it out and let me know! *Most recipes call for whole cloves to be boiled with the mixture. Cloves contain a high percentage of eugenol which causes your tongue to feel slightly numb. I tried as few as 2 cloves and still encountered this. I prefer mine without any cloves but if you like the flavor or are not as sensitive as I am you may enjoy putting in a clove or two. Adding at the end of the boil is also a good option. 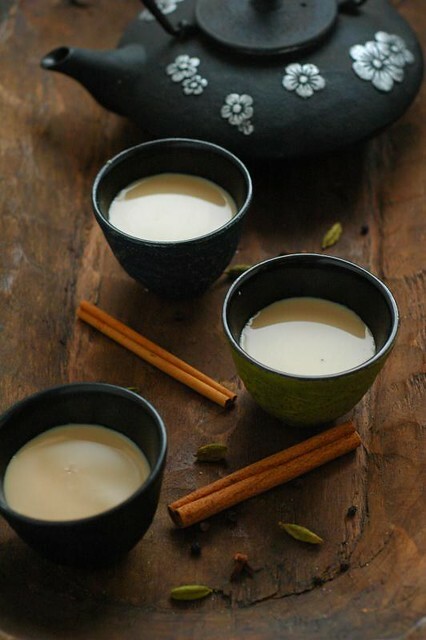 I love chai, drink it every morning. Pinning to make later. Thanks for visiting Lea! Cute blog! !